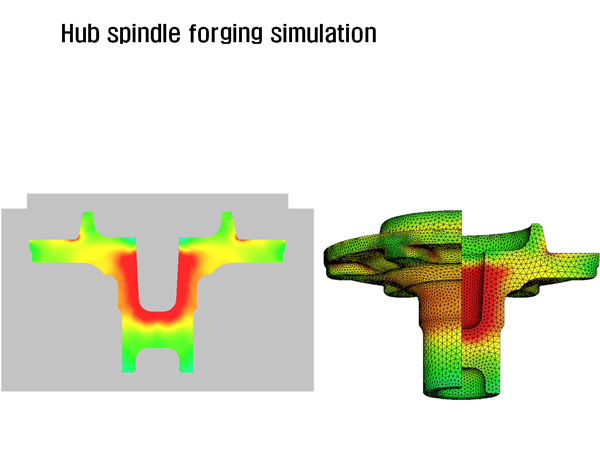 A closed-die forging process without flash was simulated using a rigid-viscoplastic finite element method. The process is characterized by no flash allowed along the interface between the upper and lower dies. Mesh system with effective strain is shown in the figure and animation.